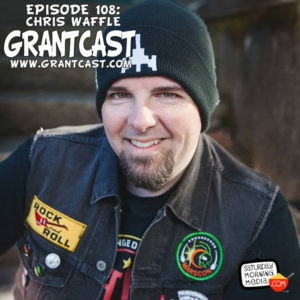 http://www.grantcast.com – Chris Waffle is a self-branded nerd musician who is the driving force behind the band Megathruster. In this interview I talk to Christ about his creative beginnings, forming the band Hot Waffles with his brother Tim and his thoughts on making music videos for his songs. Help us make more shows like this one. Become a patron of Saturday Morning Media and get cool rewards! Visit http://patreon.com/saturdaymorningmedia for info!